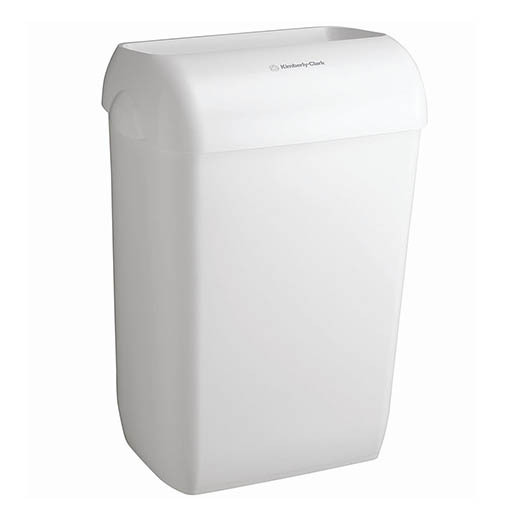 This 43 L disposal bin is ideal for high traffic washrooms. Chute style lid for disposal without having to touch the unit. Mount to the wall or use free standing. The Aquarius waste bin provides a practical and convenient solution for appropriate waste disposal, keeping areas clean and tidy and promoting user hygiene. This product is ideal for all washroom environments where a waste bin is required. The chute style lid is designed to make the disposal of waste effortless and removing any need to touch the bin. The white, plastic design is durable and easy to clean with no dirt traps.